This case revolved around the Bennett’s family dog, Roddy, in which each spouse wanted custody. The judge awarded custody to the husband and gave the wife visitation rights for every other month. The Bennetts’ filed motions seeking different modifications to the custody and visitation. When the case reached the Florida appellate court, it was decided that the courts were overwhelmed with custody and visitation cases for children and that they could not also undertake animal custody. Existing Florida statutes consider pets as marital property. This means that there will not be court mandated time sharing between both spouses. 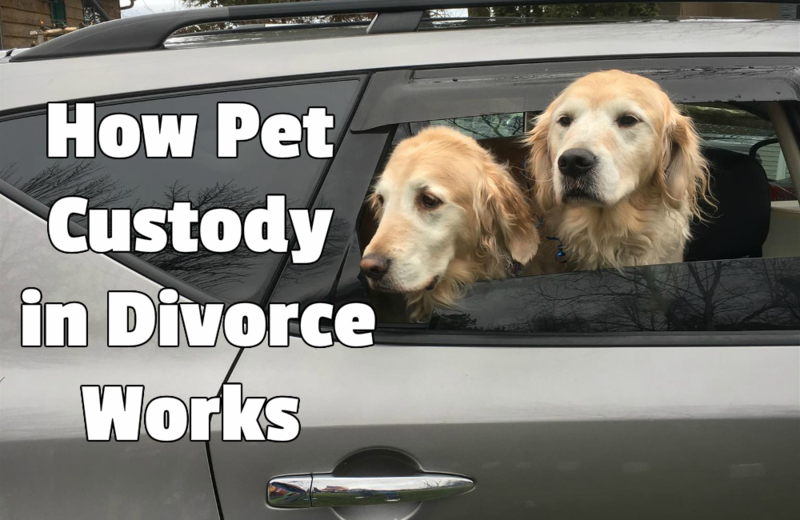 If the couple cannot agree on arrangements to share time with their pets, one spouse will be granted sole “custody” which is determined by the Florida courts. If one of the spouses had the pet before getting married, that spouse will get to keep the pet because it will not be included in the equitable distribution of the other marital property. The spouse that gains ownership can allow the other spouse to spend time with the pets if they want, but this time is not guaranteed. If you have children and shared custody, the court may decide that your pets should travel with your children. The court will evaluate the monetary value of the pet and the contributions each spouse has made. That can include: who paid for the pet, who took care of the pet on a daily basis and who provided the basic necessities for the pet. The court will also consider each spouse’s physical and emotional health and how that may affect their ability to care for the pet. The court may decide to award the pet to the parent that also has primary custody of the child to maintain stability for both. With all other factors equal, the court may determine that the spouse with a higher income would receive custody. Sometimes if neither spouse is able to financially support the pet, they may have to be released to a shelter. If you have multiple pets, it may be easy to think that you could split them with the spouses evenly, but it’s important to consider how bonded your pets are and how separating each may affect them. In the last year, two states have begun revising the existing laws to consider animals as individuals and ensure their well-being is being accounted for. While Florida has not yet taken these steps, the shifting mentality that household pets are truly part of the family may cause more states to revise the existing laws. In the end, remember to keep the best interest of your pets in mind when making decisions.